FREDERICTON — For Maine ethnohistorian Micah Pawling, there is an urgency to record today's indigenous history. He's working with the Passamaquoddy in a project that will involve them in recording their own cultural history by capturing knowledge from their elders. "Our project is about empowering people to engage in, and to actually produce, their own history," says Dr. Pawling, an assistant professor of Native American studies and history at the University of Maine. Dr. Pawling will underline the importance of community engagement when he delivers the W. Stewart MacNutt Lecture at the University of New Brunswick's Fredericton campus on Wednesday, March 28. As part of the lecture, he will address the responsibilities of researchers to engage and collaborate with local indigenous communities. Working with Passamaquoddy historian Donald G. Soctomah, he is enriching the history of the tribe by teaching its younger generations to engage in their history and record oral history from elders — crucial information that can be added to the historical record. "The contemporary history of indigenous people is really important. My academic research is mostly on the 19th century, but the community engagement project is focused on the 20th century," he says. "The project brings together community knowledge in the interview process and ethnographic records." In the 1950s, ethnographer Nicholas Smith began a series of weekly conversations with Sabattis Tomah, an important keeper of the traditions of the Passamaquoddy tribe in Maine and New Brunswick. Before Mr. Tomah died in 1954, Dr. Smith recorded several notebooks of ceremonial songs, medicinal plants, and stories that had been handed down within the community for generations. Until recently, this treasure trove of information remained in private hands, untranscribed and unavailable to members of the tribe. 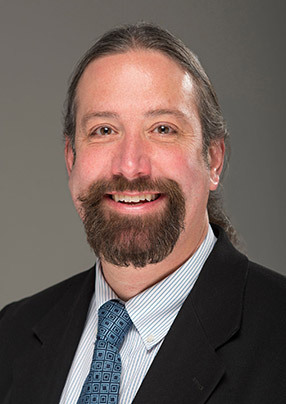 Dr. Pawling is working with Dr. Smith and Dr. Soctomah to make the information more widely available and to build on it through this new community engagement project, funded by the Whiting Foundation. His lecture at UNB, entitled Passamaquoddy Waterscapes in the 19th Century: Homelands, Ethnohistory, and Community Engagement, will also focus on the significance of the different waterscapes of the Passamaquoddy homeland. The lecture, organized by the faculty of arts at UNB's Fredericton campus and sponsored by UNB Associated Alumni, is free and open to the public. It will begin at 5:30 p.m. Wednesday at the Alfred G. Bailey Auditorium located in Tilley Hall, 9 Macaulay Lane.